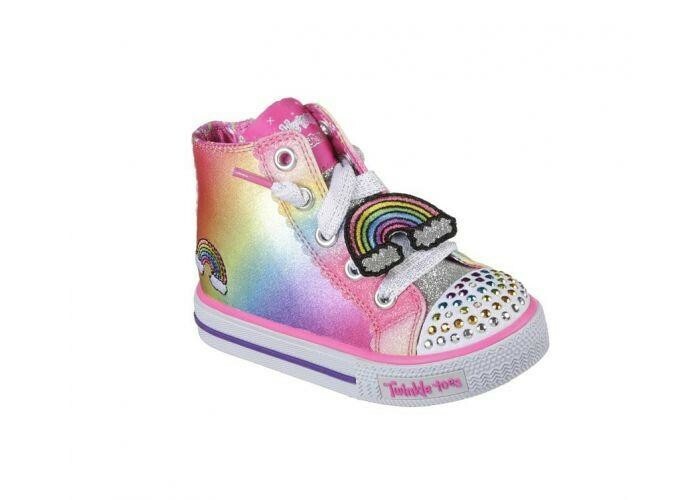 Pretty colours and fun details add up to super cute style in the SKECHERS Twinkle Toes: Shuffles - Patch Party shoe. Pretty colours and fun details add up to super cute style in the SKECHERS Twinkle Toes: Shuffles - Patch Party shoe. Soft satin finish fabric upper in a slip on casual light up high top sneaker with stitching and overlay accents.